Women's business shirt in a white Herringbone weave in white with a classy thin stripe in white. The luster in the fabric highlights the stripe in the most tasteful way. 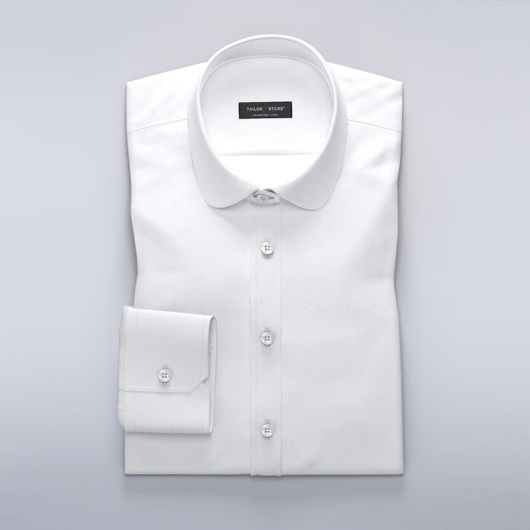 With its exclusive quality and feel, this is the ultimate business shirt. Made to your measurements.